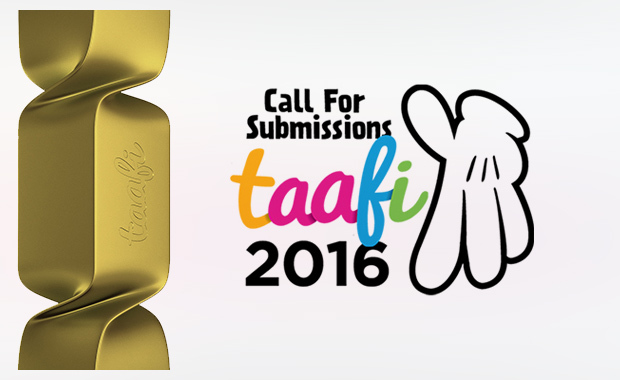 Toronto Animated Arts Festival International (TAAFI) is accepting short and feature-length animated film submissions of all genres and techniques for its 2016 competition. TAAFI celebrates and explores the world of animation arts across a wide range of styles (2D classical, stop motion, 3D computer, 2D computer, VFX, Pixelation etc.) from all across the globe. All films are eligible for the Grand Prix awarded by an International Jury. The shorts category requires that the maximum run time including credits is 40 minutes. The feature category requires a minimum run time of 40 minutes to a maximum of 150 minutes. Submitted films must have been produced in January 2014 or later and may have not been submitted to previous editions of TAAFI. The 2016 Toronto Animated Arts Festival International is scheduled for 22-24 April 2016. The Festival is now in its fifth year.